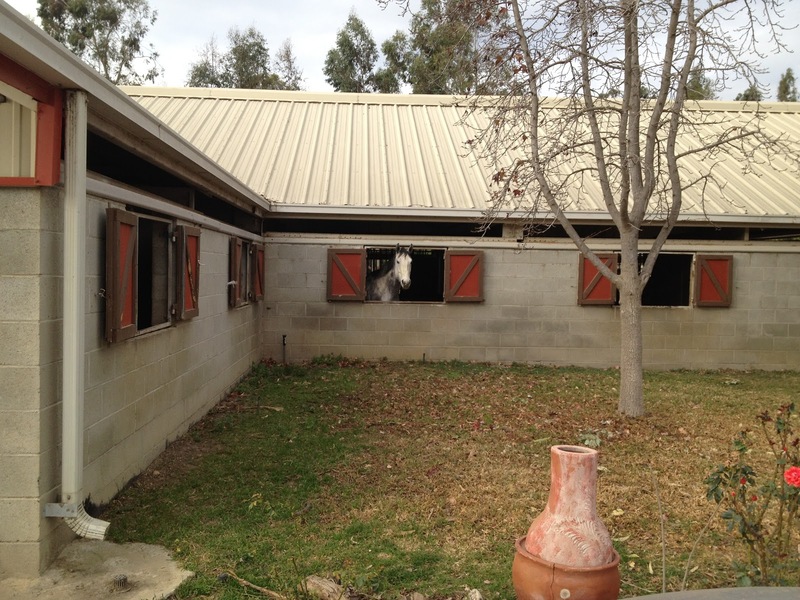 This past weekend Spirit and Storm got to do a horsie sleepover at Windwalker Ranch, where Laurie currently operates her training stables. 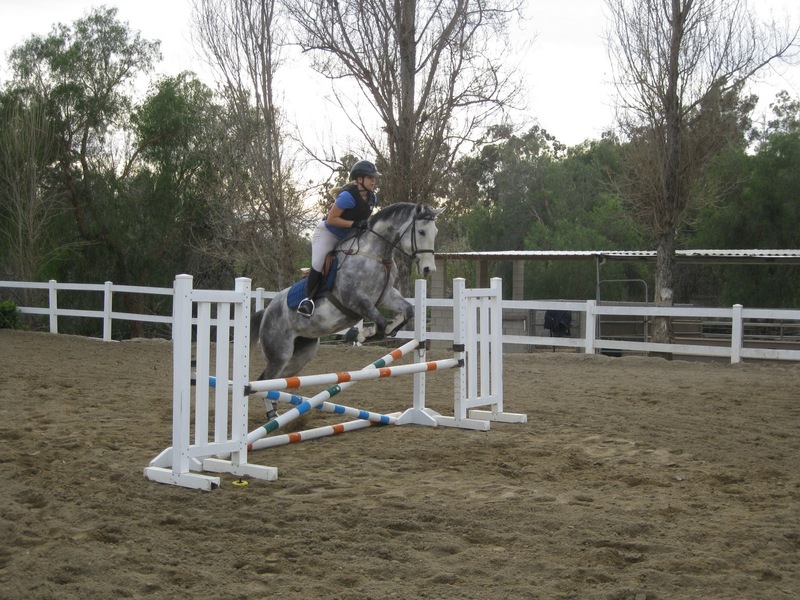 We had a fantastic jumping lesson on Saturday followed by a trail ride, and a jumping play day on Sunday. This first picture is a demonstration of my unique way of mounting. 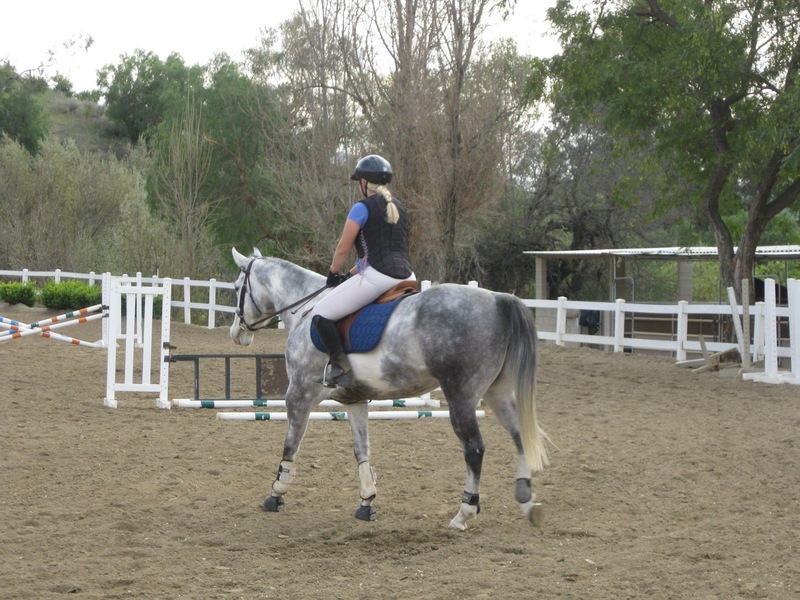 I do NOT put a foot in the stirrup first (unless I’m mounting from the ground) – I hop on without in case of situations like the below. Spirit was excited and did not want to stand still. Had I had a food in the stirrup, that could have ended badly. 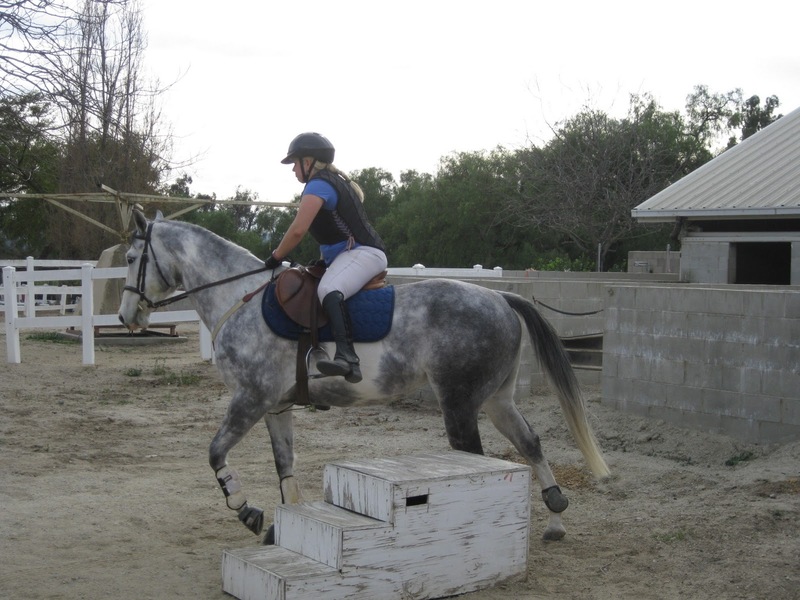 We took a few moments to work on patience and obedience, then we were on our way to jumping fun. 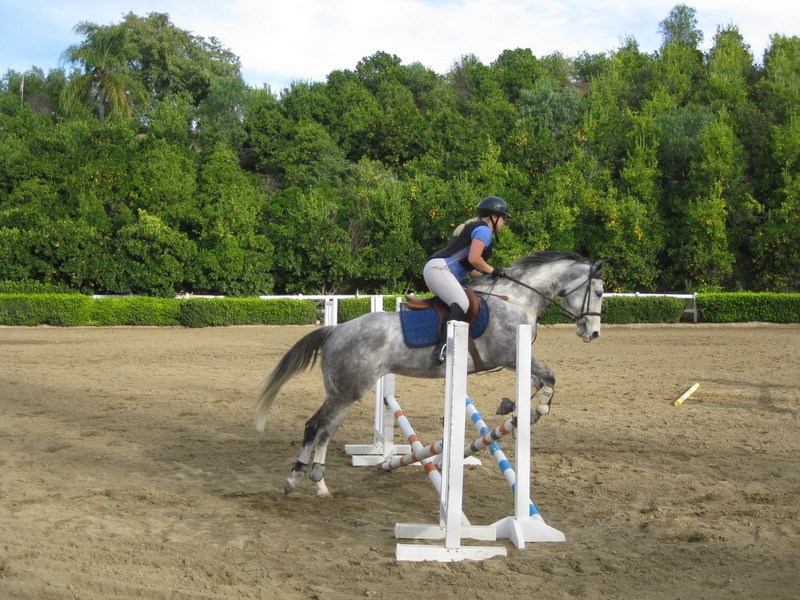 Overall Spirit was really fantastic for our jumping lesson on Saturday. 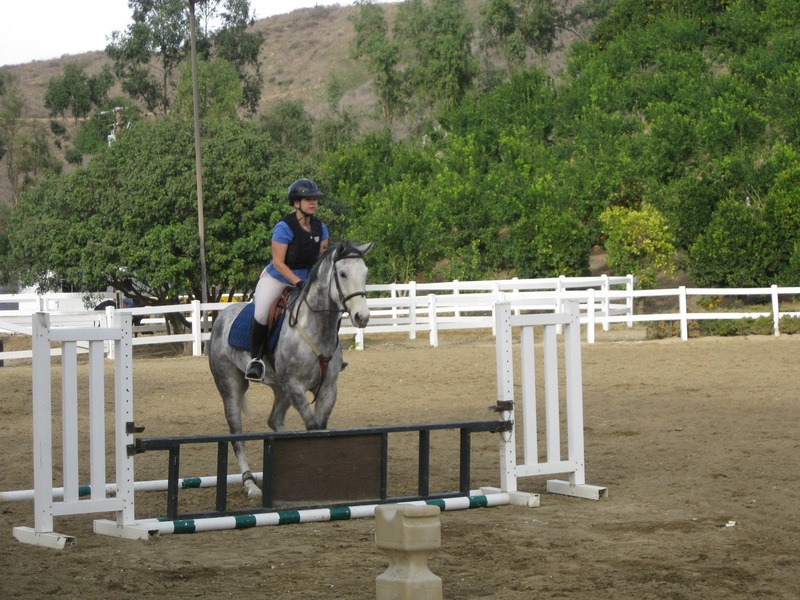 She only looked at one jump funny but we got no stops. Partway during the lesson she starting doing this funny thing by sticking her nose to the right, so I had to hold a lot on the left. 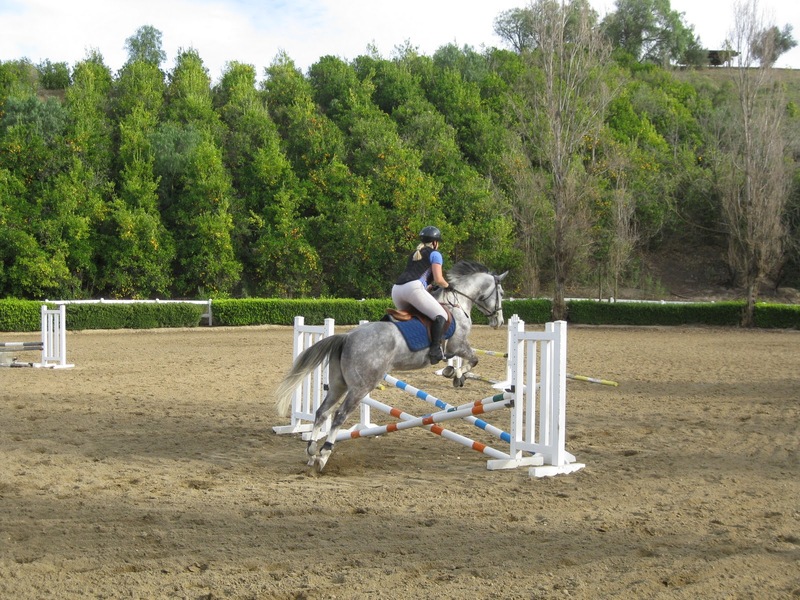 It turned out that by not allowing bend in the corner before the jumping line did the trick. Gotta put that in the pocket for future reference! 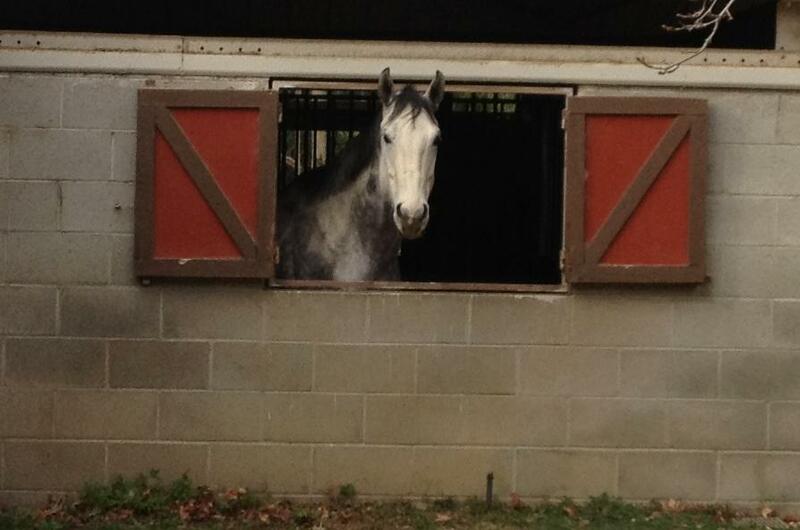 Spirit got a deluxe stall for the night inside the barn.